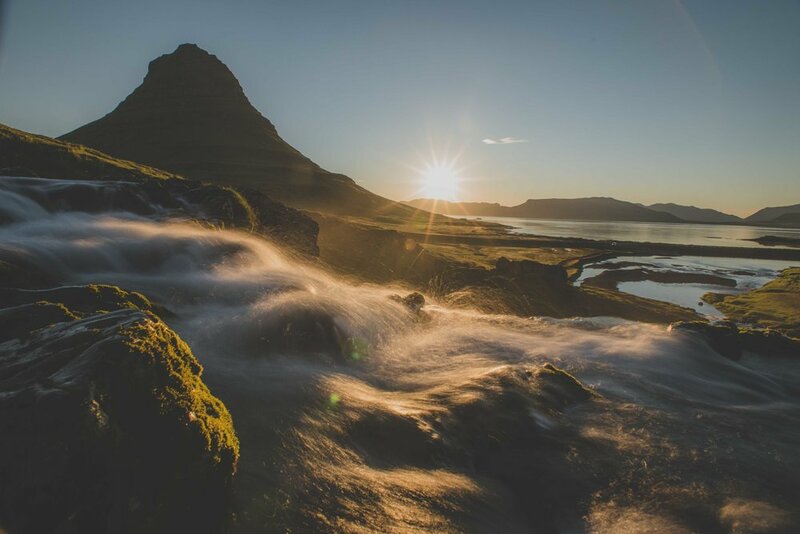 Joe Shutter: Curious Eyes in Iceland-Get Joe Shutter to show you the best of Iceland! The spectacle of the Northern Lights (Aurora Borealis) between August and April. Interested in Instagram? I can help you with that! The best camera in the world is the one in your pocket, bring what you have and we will work with that! where and what you would like to go and shoot in iceland? Watch the lights dance across the sky on a clear fall or winter night in a secluded spot! iceland with the lid off. The interior, high plateau of land known as the "highlands" is some of the most geologically diverse, vibrantly colourful, barren, desolate wilderness you will ever encounter. This journey takes us to Volcano Huts in Thorsmork, where it is possible to meet and get within close proximity to some arctic foxes.THere is also the opportunity to hike in the local area (where are in Thorsmork, after all) and catch some quite breathtaking nature. The snaefellsnes peninsula, visible from the capital on a clear day, is marked by it's closeness tothe coast line; the raging sea is everywhere. Marvel at the long, gentle light. It's a remarkable thing no experience, and is one of my favourite things about living here in iceland. Tucked away behind a mountain range, two volcanoes and two glaciers is Thorsmork, a remarkable glacier river valley, sourrounded by a system of canyons. This journey we see us coming off the beaten path, through plenty of rivers as we ford through by land rover defender. Use the form to register your interest and tell me a little more about yourself(ves).